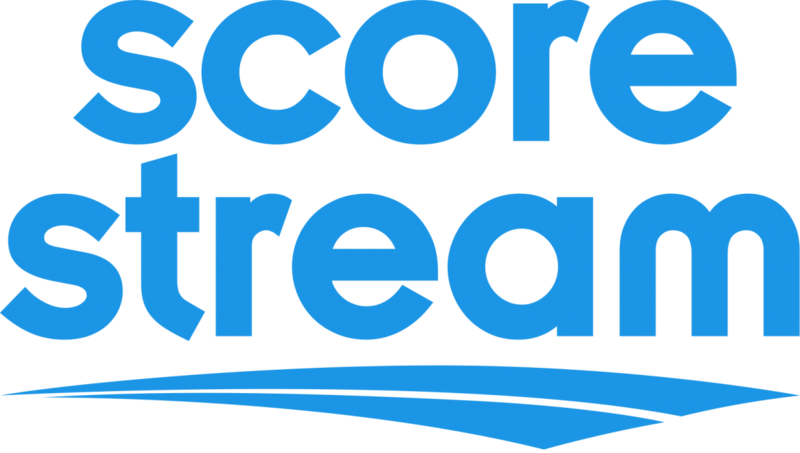 The SFL and ScoreStream have entered a partnership to bring the first competitive esports league on the ScoreStream app. 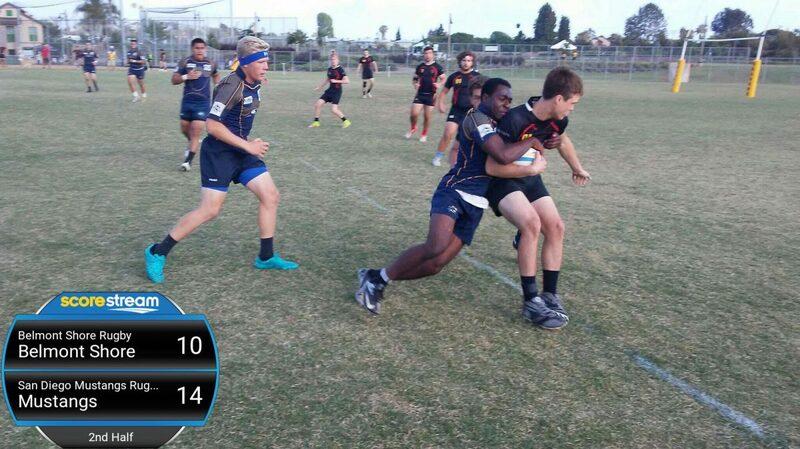 The Simulation Football League (SFL) is a one-of-a-kind controlerless football league. Currently played on All Pro Football 2K8, the SFL has the full structure of a traditional football league with a rookie draft, live commentary on games hosted through Twitch, and much more. With football being one of the biggest draws on ScoreStream, it couldn’t be a more perfect fit to introduce the SFL and esports to the app. 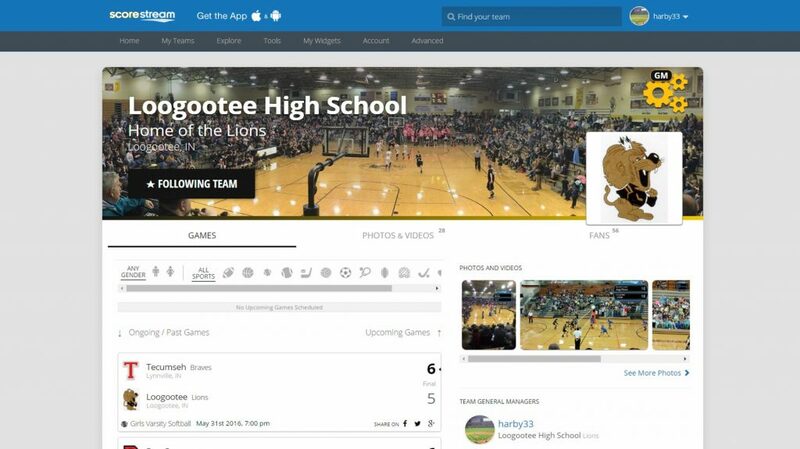 When we started ScoreStream, we began with the premise that we could use the approach Waze took with traffic and apply that to local sports media. We knew that with the rise of the Internet and the consolidation of media that it was increasingly difficult to cover local sports in an economical way. Our early belief was that only a very small percentage of people would ever create content of any type, much less score a game. The first version of our application literally was released to test the thesis that we could create something that enough people would use and if that proved true then we would try to build a more complete solution. 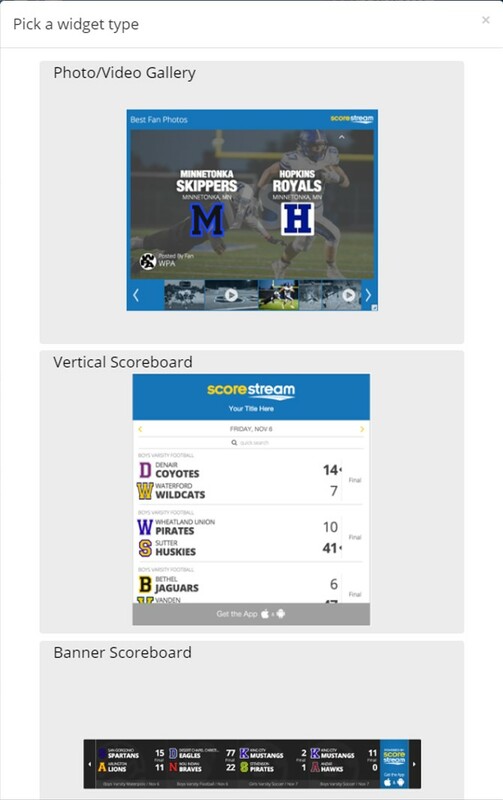 Version 1 of the ScoreStream app allowed you to score a game and post those results out to Facebook, Twitter, and SMS. 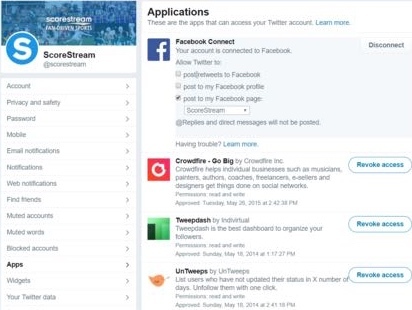 We knew that 95+% of users would download our app, look for some scores and would then delete the app in frustration. Fortunately for us we found a good early group of power users who validated the approach and we moved to make a more complete solution. 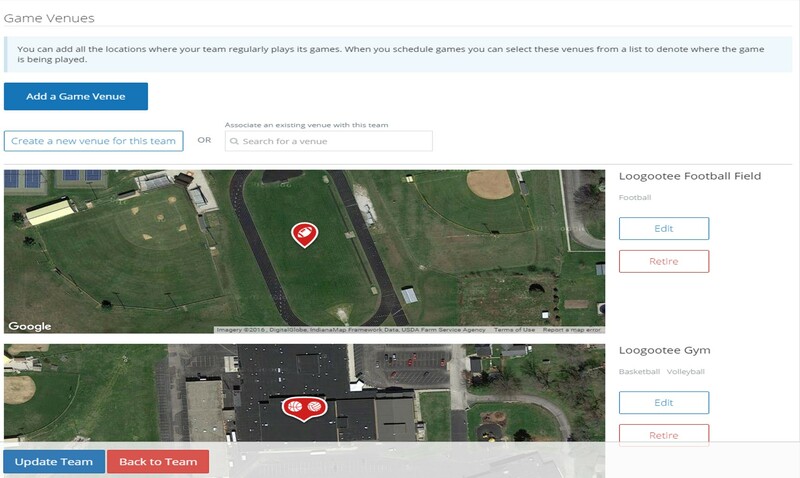 Early on in the company, we reached out to a number of media partners and asked them if they would be interested in using a crowd-sourcing solution to capture local sports scores. One of those early companies was a radio station in San Diego – The Mighty 1090. 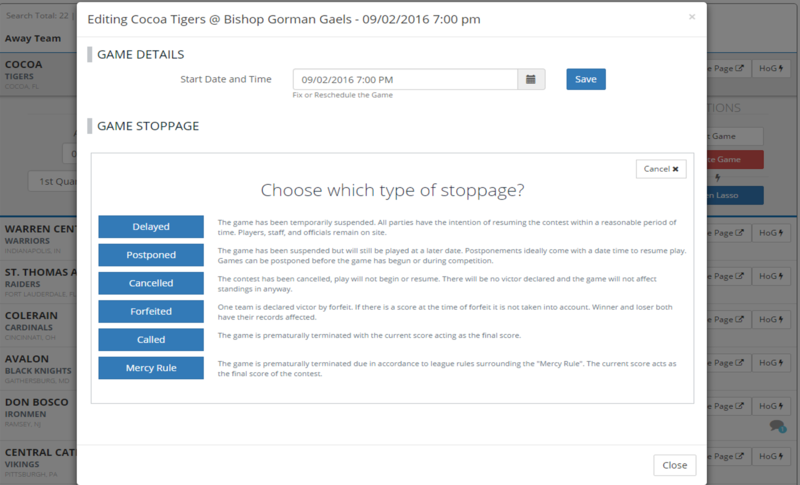 They were covering the local high school section on a weekly radio show and wanted us to create a scoreboard widget for their website. We shrugged and made one for them. Today those scoreboard widgets are on over 10,000 websites including 1,300 top media properties in TV, radio, and newspaper sites. We always viewed what we did as a technology platform and so the next logical step for working with media companies was to provide that data in a format that could be played on television. 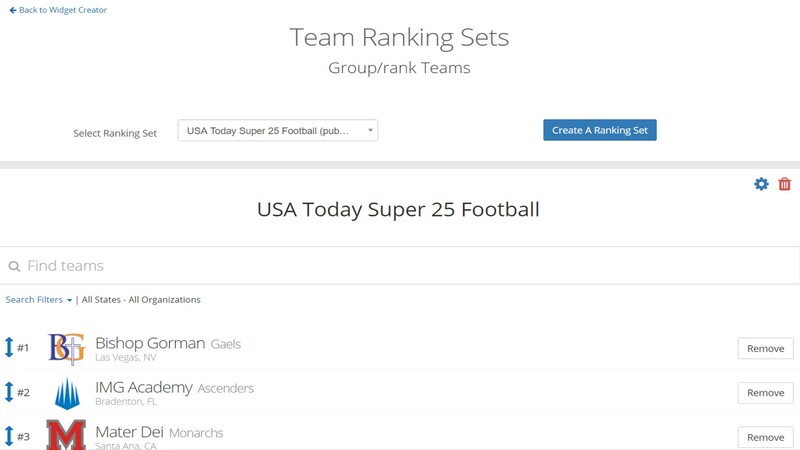 Working with one of our earlier investors, Sinclair Broadcasting, we created a framework that allowed us to syndicate our score data to the various ticker packages that they use in their news and sports broadcasts. There were a number of specific issues we had to deal with for television including accuracy. We developed some clever methods to insure accuracy and today we are powering on-air tickers for over 75 television stations and we expect that number to grow substantially this year. Both our tickers and widgets can be created by selecting a specific set of teams or by drawing a map and creating a geofence to add schools or teams in an area to a widget. A lot of retail venues are looking for ways to engage with local communities. In particular sports bars and other dining establishments want to find ways to showcase their interaction with the community. 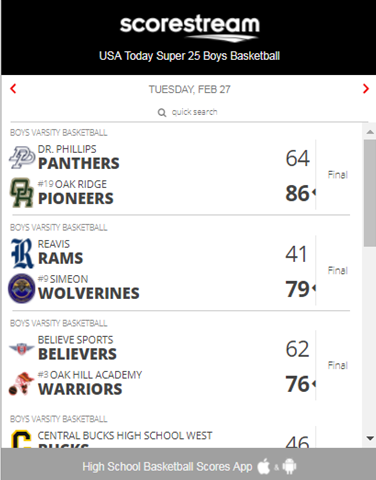 We were approached by a vendor who was working with Buffalo Wild Wings and we rapidly developed a solution that can display local scores, photos, and videos on a big screen TV that draws content in from local high schools and other teams. We have piloted this with some of the biggest names in retail this last year and expect to have a lot of deployments this coming fall. One day my friend Matt reached out and suggested that we have a discussion with Snapchat about what they were doing in sports. 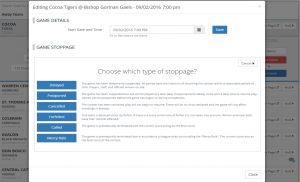 We had a couple of really good conversations and before long we were working with them to provide real time score data for roughly 5,000 games each Friday night in the high school football season. Snapchat users who are within 500 meters of a high school football game are presented with a filter option when they take a snap that shows the score of a game up to the minute at that point in time. 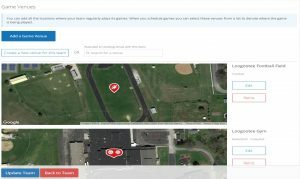 As we continued to grow our coverage and user base we entered into discussions with the Associated Press about working together to capture high school scores on a faster basis. 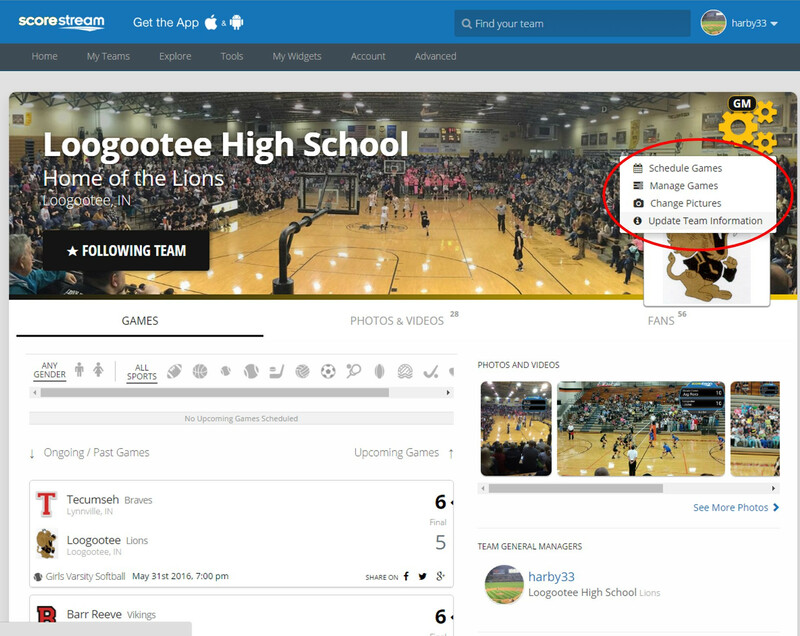 After lots of diligence we entered into a partnership where we work cooperatively to capture tons of games as fast as possible through the football and basketball seasons. For a number of years we had scoreboards on a variety of iHeart radio station websites. Last year we began discussions about how we could use all of our data to create daily high school radio spots for roughly 50 markets across the country. 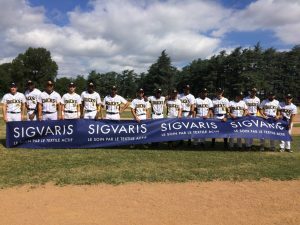 We worked closely together throughout the summer and rolled out a great product with them this fall. You can see some examples of that via “SportsPass” which is the branded name of the product. 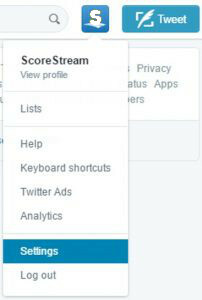 Over these last several years, users who have discovered ScoreStream have realized that they can submit scores to ScoreStream and those scores are fed to local TV, radio, newspapers, restaurants, Snapchat and the Associated Press. 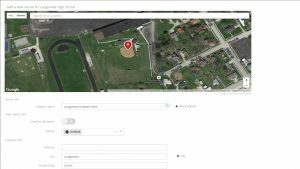 A lot of the value of using our platform is that we send their scores everywhere. The fans feel empowered and motivated since they realize they are helping their favorite teams receive more recognition. With that in mind we thought about other places where it might make sense to send scores. We felt that there were a lot of customers who do not necessarily use a lot of apps, but a ton of them use platforms like Facebook. 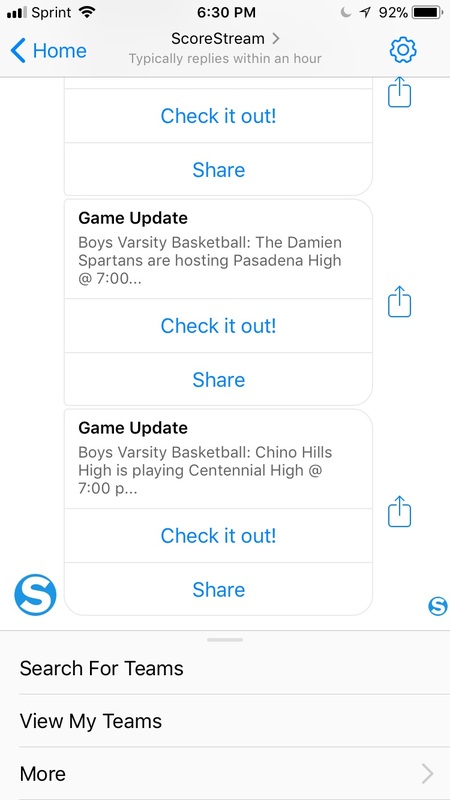 Today we are excited to announce the launch of our ScoreStream Scoring Bot for Facebook Messenger. 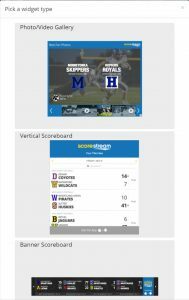 While we certainly like fans to use ScoreStream directly when they are following their games, we know that there are a lot of consumers who still struggle to find their high school scores and we wanted to give them an easy way to stay up to date with their high school or their kids high school. If you go to our Facebook Page you can click on the message button and Follow the teams you are interested in. 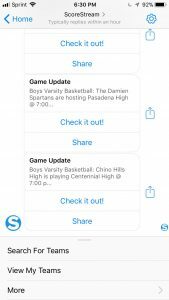 As we get score updates and other information, that will be delivered to you directly in Facebook Messenger. Last week we had scores for over 15,500 games so we are pretty sure there is a good chance we have your team’s score as well.